The free-to-play distinction of Pokémon Shuffle, a spinoff of the Trozei/Link series, may be a little dubious. While indeed free to download and play, Shuffle imposes some limits. The game gives you five “Hearts” to begin with. These Hearts serve as energy to play the game. Each of the game’s 160 stages will cost one Heart to play, and once they run out, it will take 30 minutes for them to regenerate. There are two alternatives to waiting: StreetPass with someone else who has the game, or pay. Paying $1 will net one “Gem.” Gems can be used to refill Hearts (one Gem will refill five hearts), or to purchase Coins, which can decrease the difficulty of stages and get power-ups. Of course, buying Gems isn’t necessary, but going without equates to a lot of waiting. 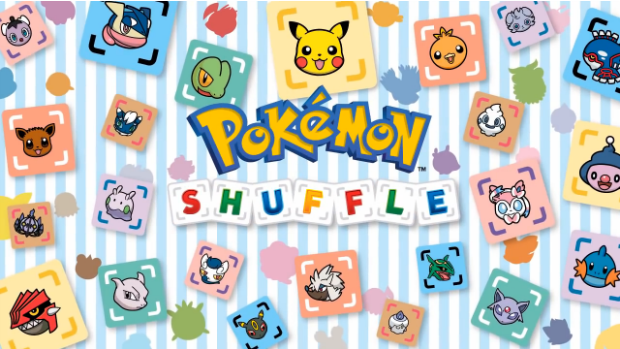 Pokémon Shuffle will be available for download on the eShop this Wednesday, February 18, in Japan and North America. Ben is a 20-year-old college student who joined the Operation Rainfall crew in 2015. Amongst his hobbies are writing stories, singing, raging against post-game bosses in Etrian Odyssey Untold, and biking everywhere in the hopes of hatching a shiny Carbink.